The potential of CBD to treat Anxiety continues to be supported by an ever-growing body of research. Every day, new evidence is trickling in, especially from animal studies, helping researchers to understand more and more how CBD works in our brains. What are you doing on this stage, in front of all these people? Run, run now! This is how anxiety sounds like, according to the words of Nikki Webber Allen, a film producer and film-maker who was diagnosed with generalized anxiety and depression. Even when there is absolutely nothing wrong, some people experience an overwhelming sense of doom, like danger is lurking just around the corner. If this happens a lot to you, then you may be suffering from one of the many forms of anxiety which go hand-in-hand with depression. In recent years, scientists have come to learn more about anxiety and what causes it. One of the most interesting of these studies is the interaction of cannabis with anxiety. It has been found that high concentrations of a compound found in cannabis called THC (tetrahydrocannabidiol) lead to an increase in feelings of anxiety and paranoia. However, another compound found in large concentrations in hemp, another type of cannabis plant, show the exact positive effect. This discovery has currently taken the global medical community by storm, since the use of CBD oil to treat many forms of anxiety has positively impacted the lives of many people. 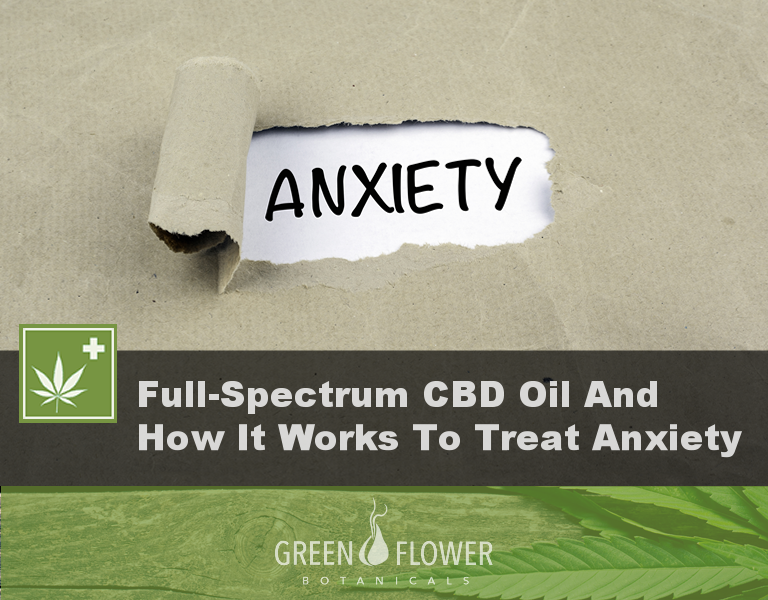 In this publication, we take a look at the exact effects of full-spectrum CBD oil on anxiety. According to the current classification of anxiety disorders in the fourth edition of the Diagnostic and Statistical Manual of Mental Disorders (DSM-IV), anxiety is defined as an emotional state where an individual manifests maladaptive and excessive emotional reaction to potentially uncomfortable situations. The pathological expression of anxiety leads to lasting emotional agitations with constant nervousness towards the possibility of future, unclearly defined negative events. These include generalized anxiety disorder (GAD), panic disorder, social anxiety disorder/social phobia, obsessive compulsive disorder (OCD) and post-traumatic stress disorder (PTSD). According to data from the NIH, over 40 million adults in the United States alone suffer from anxiety-related mental conditions. As a result, pharmaceutical companies have been on a roll to produce all kinds of prescription drugs such as Prozac and Zoloft, in order to deal with this grim situation. Anxiety related conditions are difficult to diagnose, and even harder to treat. Therefore, these drugs sometimes work pretty well with some patients. However, other individuals have reported negative side effects that have interfered with their abilities to lead a normal life. For such people whom prescription medication does not work, there has been growing evidence that a compound called CBD oil can really help with some of the symptoms, without most of the side effects caused by over-the counter drugs. Cannabidiol (CBD) is a cannabinoid, a naturally-occurring chemical compound found in hemp and marijuana plants. Tetrahydrocannabinol (THC) is another cannabinoid also found in these plants, but in higher concentrations in marijuana plants. Unlike THC, CBD fails to bind with the CB1 receptor in the brain due to its molecular structure. CBD is known as having antagonistic properties, therefore, it cannot bind directly with cannabinoid receptors. THC has agonistic properties, which is what adds to the psychoactive effect found in cannabis. This is one of the subtle, yet fascinating things about CBD. By extracting the CBD and other minor compounds such as terpenes contained in hemp plants, scientists and cannabis product manufacturers such as Green Flower Botanicals have been able to make considerable steps in the management of various types of anxiety-related disorders. Although the research to examine CBD oil’s effects on managing various anxiety-related disorders still continues, there has already been considerable proof on its effects to reduce anxiety. For instance, in a study completed in 2010, a small group of 10 individuals diagnosed with social anxiety disorder (SAD) showed significant improvement in both mood and how their brains reacted to anxiety after receiving an oral dose of 400 mg of cannabidiol (CBD). To confirm the results, brain scans of the patients’ cerebral blood flow was recorded, it revealed changes in flow to the areas of the brain that control emotions, pointing to its anti-anxiety effects. In another relatable study trying to show the effects of CBD on anxiety, participants were asked to report their anxiety levels before and after performing before an audience. The study was set-up in order to create as much mental stress as possible and to test the ability of CBD oil to conquer or reduce the expected cognitive impairment and anxiety common in patients with such conditions. After many replications, the researchers concluded that 300 mg of CBD oil was able to increase the positive performance of the individuals profoundly by keeping them calm. 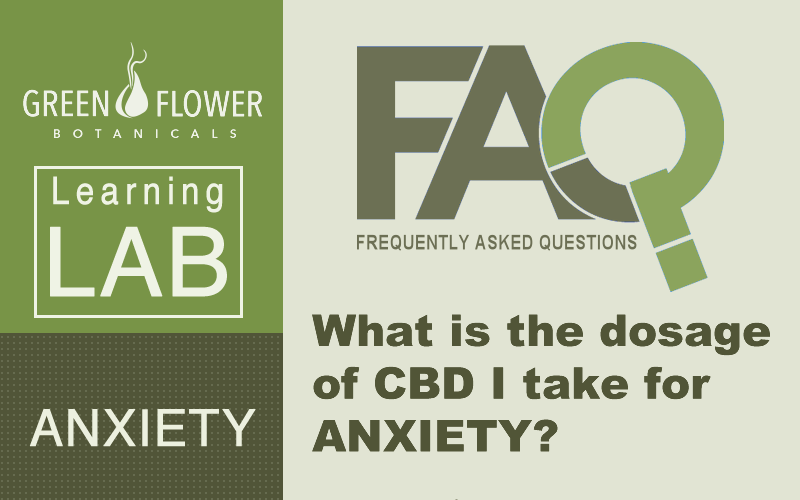 What is the dosage of CBD to take for anxiety? In a more recent data analysis carried out in 2015 that evaluated previous animal and human studies, it was conclusive that CBD oil stands as a promising treatment for various forms of anxiety-related issues including; panic disorder, social anxiety disorder, obsessive-compulsive disorder, post-traumatic stress disorder and generalized anxiety disorder. There has also been data collected from functional magnetic resonance imaging (fMRI) and single photon emission computed tomography (SPECT) machines showing an increase in activity in areas of the brain that are associated with regulating fear, anxiety and stress like the left parahippocampal gyrus. The activities in the left amygdala-hippocampus complex were seen to reduce, even when exposed to images that are supposed to induce stress. CBD is a safe, non-intoxicating, and non-addictive cannabis compound with significant therapeutic attributes, but CBD-drug interactions may be problematic in some cases. CBD and other plant cannabinoids can potentially interact with certain pharmaceuticals by inhibiting the activity of cytochrome P450, a family of liver enzymes. This key enzyme group is responsible for metabolizing certain drugs.. If you have medications that warn against the consumption of grapefruit then you should refrain from consuming CBD containing products until you speak with your doctor. You should notify your doctor before mixing CBD oil with any medication. Every day, new evidence is trickling in, especially from animal studies, helping researchers to understand more and more how CBD works in our brains. The potential of CBD to treat Anxiety continues to be supported by an ever-growing body of research. 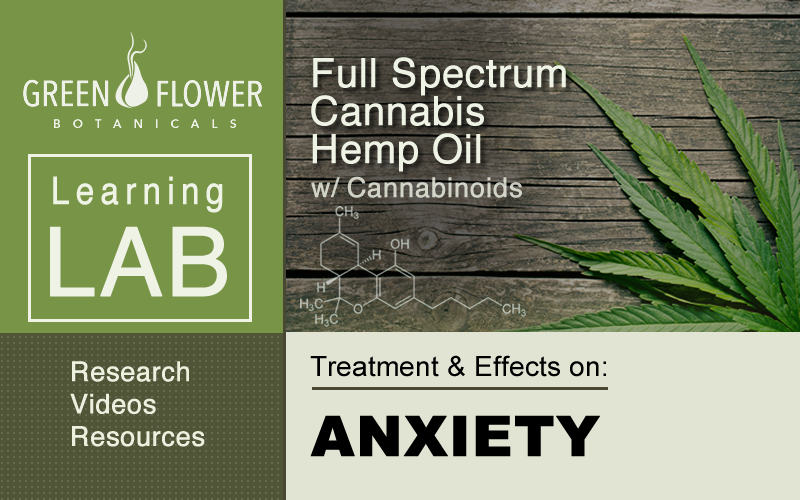 If you would like to read through the current research visit the Anxiety research page at Green Flower Botanicals.